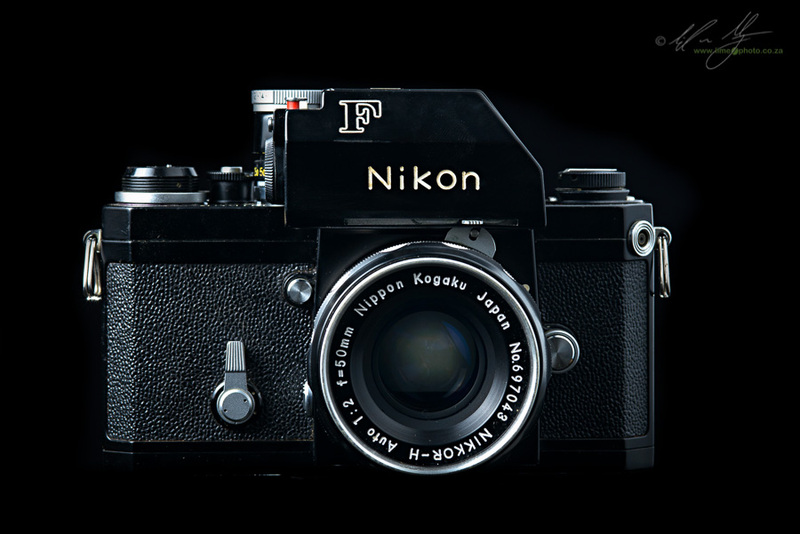 67 years ago this April Nikon announced the Nikon F SLR camera. To me, this is one of the most important cameras to have emerged in the 20th Century. 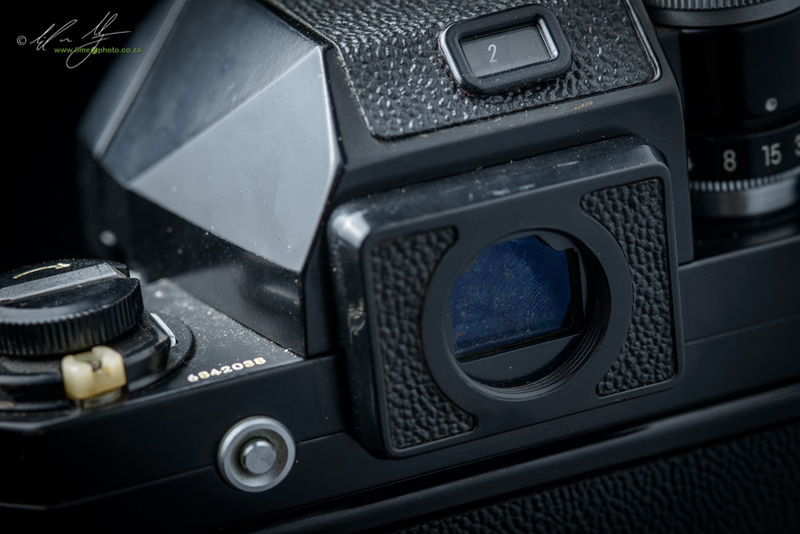 Certainly, there were plenty of firsts from other manufactuers, such as Contax which produced the first pentaprism viewfinder for a camera in 1949 (the Contax S) as well as the first automatic diaphram lens in 1956 (the Contax F). The precurser to Pentax, Asahiflex, introduced the first automatic return mirror (the Asahiflex IIb) and of course the first true Single Lens Reflex camera was the German made Ihagee Kine Exakta in 1936. What made the Nikon F special was that it put a bunch of ‘firsts together’ and went on to become the professional system camera of choice for over a decade (some would argue for far longer). Prior to the introduction of the Nikon F, professional photography, or at least 35mm photography, was dominated by rangefinder cameras. The Leica rangefinder held the baton as the preferred camera of choice for news photographers, discerning amateurs and artists alike. Commercial photographers still tended to lean towards medium and large format cameras though, thanks to the physical size of the film allowing greater enlargement than that of 35mm film. However, if you were a photographer who needed a smallish, portable camera to create images with, you were most likely to have a rangefinder slung round the neck. The trend was so strong that both Canon and later Nikon copied the German cameras with their own rangefinder clones; culminating in the Canon 7s (1961) and the Nikon S3M (April 1960). These Leica-esque rangefinders started off with the M39 screw mount lenses that Leica also used, although in the end they too had bayonet mounts. So what made the Nikon F so special that photographers gave up their trusted German rangefinders for a Japanese Single Lens Reflex? You have to remember that in the late 1950s ‘Made in Japan’ had the same emotive response to the European and American markets as ‘Made in China’ has today. The Nikon F had to be pretty phenomenal one would think. For its day, it was. The clean lines of the back of the camera. The silver button is to remove the prism. The viewfinder port was originally square, but then modified to accept the still used circular eyepiece. The Nikon F introduced the first ‘system camera’ to the world with interchangeable viewfinders, film backs, motor drives, metered viewfinder prisms, rapid film advance and rewind (a frame could be wound on with a single 136 degree movement of the film advance lever). The mirror returned automatically after firing and the lens incorporated an automatic diaphragm which allowed for composition with maximum aperture regardless of the setting on the lens itself. The mirror was meant to be be vibration free (or as Moose Peterson points, vibration free for that era - the whole camera jumps in your hand when you take a photograph, but significantly less so than other SLR cameras of the time). Looking through the viewfinder you could see an almost 100% view of the frame’s coverage, as well as meter TTL (Through The Lens) as of the introduction of the Photomic FT head. With the 250 exposure back remote photography such as that of the Nasa Rocket launches was possible. Add the F-36 motor drive and the Nikon F could shoot at 3 frames a second (4 with the mirror locked up). In the 1960s this was considered very fast. The system approach to the Nikon was so extensive that there was even a ‘Speed Magny’ box that allowed the Nikon F to shoot onto Polaroid and 4x5in sheet film. In large part due to the accessories, the Nikon F could be customised to just about any photographic assignment. On top of all of these features, the Nikon F was backed by a range of lenses from 21mm through to a 1000m at the same time as the launch of the camera itself (21mm f4, 28mm f3.5, 35mm f2.8, 50mm f2, 58mm f1.4, 105mm f2.5, 105.. f4 Pre-set, 135mm f3.5, 85-250mm f4-4.5 and several extreme telephotos designed for both the SP rangefinder and the F with a special adapter mount). Then there was the legendary brick-like build of the camera. Apparently the Nikon was affectionately known as the 'hockey-puck' in some circles. The legendary status of the Nikon F has even resulted in some stories around Robert Capa having one when he died while covering the Indochina conflict (this is actually impossible since he died in an antipersonnel mine blast in 1954, some five years before the introduction of the Nikon F). What is true is the story of how the Nikon F saved Don McCullin’s life. While covering Vietnam, McCullin was shot at by a Vietcong sniper. 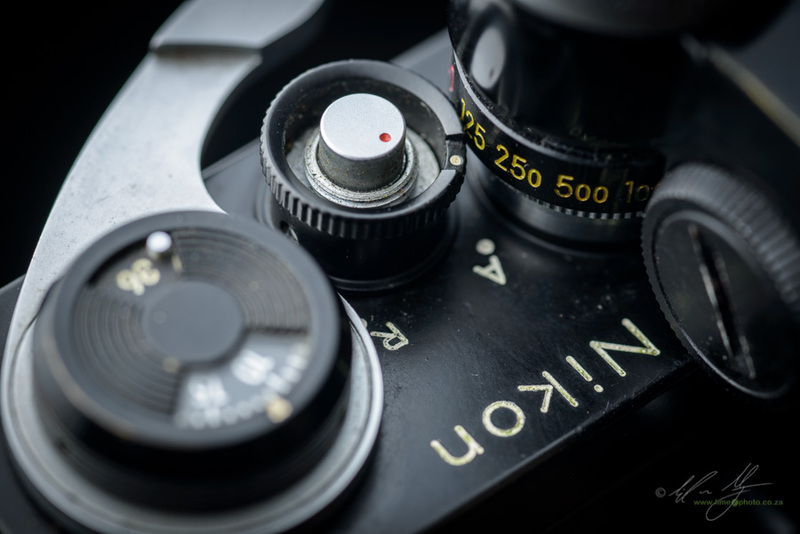 The bullet hit McCullin's Nikon F that was hanging from his neck, shattered the lens and embedded itself in the mirror box. The Vietnam war was a testing ground for the Nikon, with photographers like Larry Burrows, Don McCullin and many others. This was a testing ground that later extended to space with a modified Nikon F with Photomic FTn prism being used by astronauts on the Apollo J lunar orbit missions. Hollywood as well as the international film industry has also tipped its hat to the Nikon F, giving it several roles over the years. ‘Apocalypse Now’ is probably one of the most famous movies featuring not one, but a veritable brace of Nikon’s Fs around the neck of the the nameless journalist in Kurtz’s (played by Marlon Brando) camp. Then there is the romantic ‘Bridges of Madison County’ with Clint Eastwood toting a Nikon F with paired F-36 motordrive. My personal favourite is ‘Air America’ and the dour Jack Neely (played by Art LaFleur) who is always photographing things with his Nikon F. There is the poignant scene of his covered body being carried from an aircraft with the Nikon sitting atop it. Interestingly, wherever there is a war film, or a film of conflict, the Nikon F is sure to follow: ‘City of God’, ‘Gorillas in The Mist’, ‘The Year of Living Dangerously’ (several Nikons feature in the recent ‘The Bang-Bang Club, but the F2 is the star alongside an F3 and a Nikkormat FTn) are a few of the more notable films. Pick up a Nikon F and it invites you to make images. All the controls are easily accessible. It is heavy though,weighing in at some 850g body only. The viewfinder is big and bright and it’s possible to change all settings without taking your eye from it. It feels sturdy. Basically it feels indestructible. The large Photomic FT metered prism head obstructs the engraved aperture value on the lens, so a small counter above the viewfinder indicates the aperture value instead. 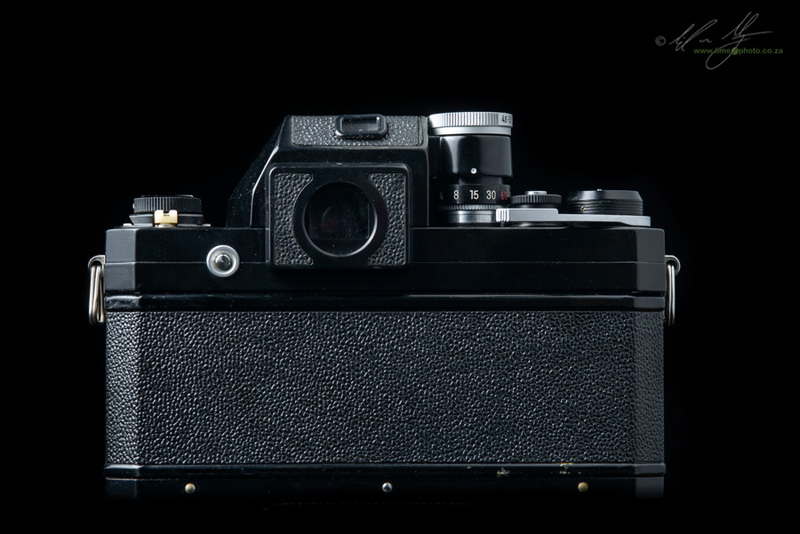 Because the original F didn’t have a metered prism until the early 60’s the ASA is on the base of the camera. With the introduction of metered prisms, the ASA dial was also attached to the shutter speed dial on the prism itself. This basically just aligned the shutter speed dial with the ASA and the the meter. A needle meter in the viewfinder as well as in a small window on the top of the prism indicated correct metering. To meter you would have to switch on the meter itself with a small knob on the top right of the prism. 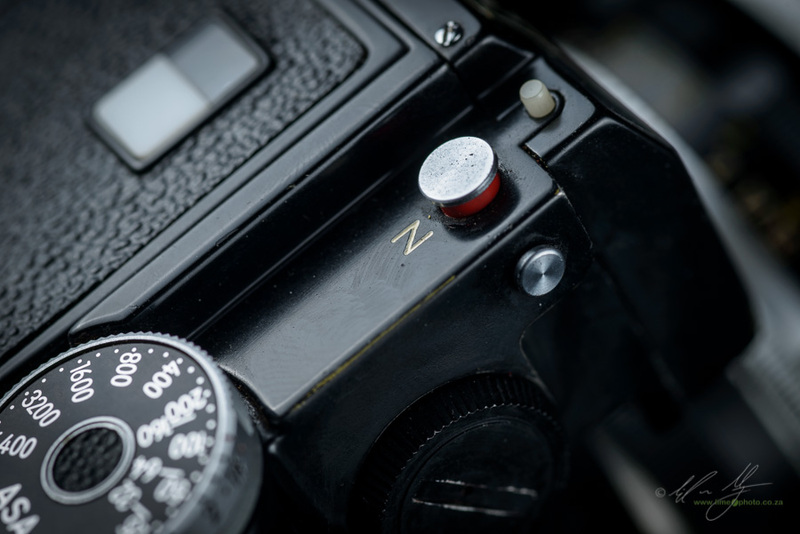 To stop metering you would have to switch this off again (the Nikon F was an all-manual camera without a battery so didn’t need an on/off switch). 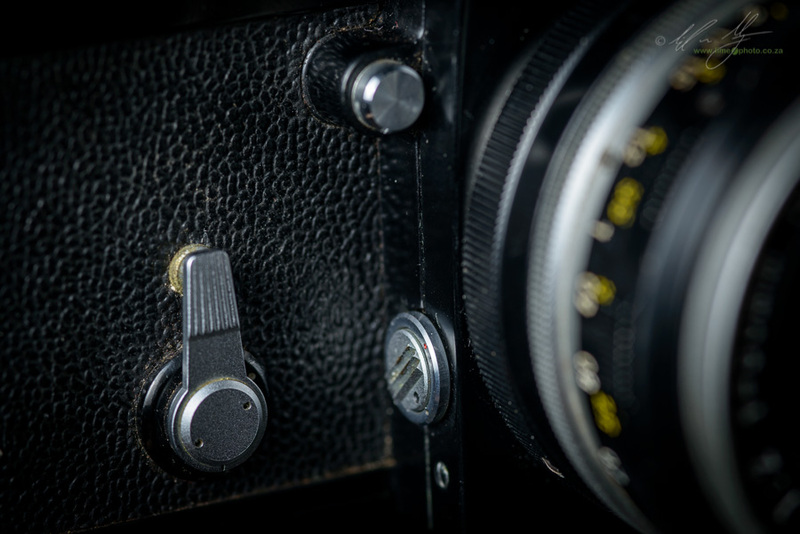 The lens was coupled to the camera’s metering system as well as automatic diaphragm control via a small pin that rested between what became known as the Nikkor ‘bunny ears’. This metal extrusion continued on right until the advent of autofocus, maintaining backwards compatibility for Nikon and earning it an almost unique status among camera manufacturers (this has to be shared with Pentax though and their almost ubiquitous K-mount). 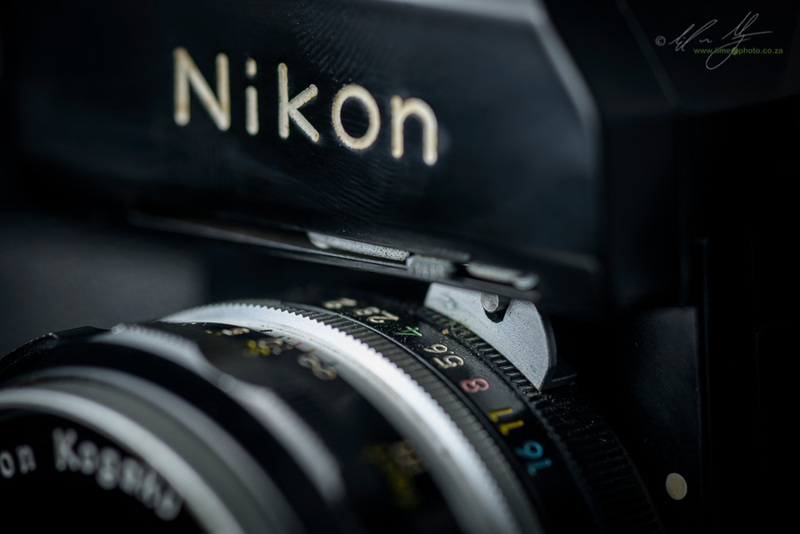 Nikon also introduced their iconic F-mount bayonet design with the Nikon F camera. 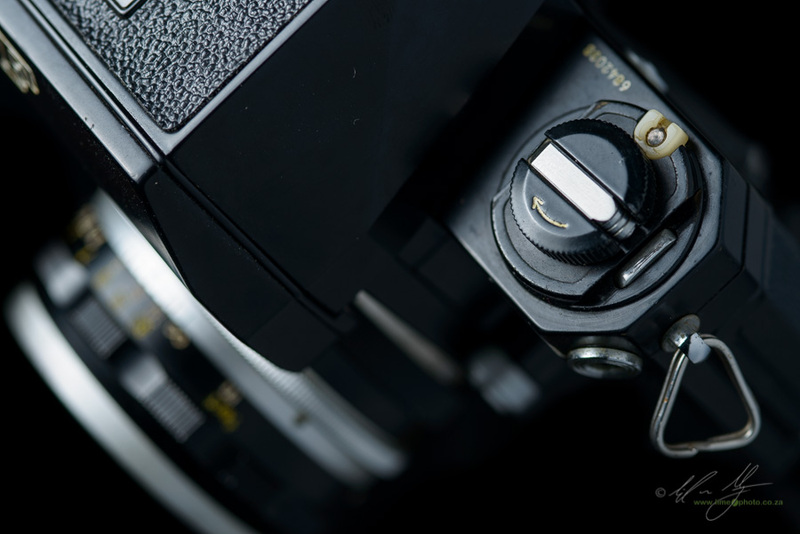 The basic F-mount is still in use to this day. Part of the allure of the Nikon F was the enormous lens range that became available. When the F was introduced it came out with 10 dedicated lenses! By 1965 20 more lenses had been added! That is a complete system of accessories and lenses in 6 years! This is truly extraordinary when one thinks of the pace of current camera evolution, and more importantly, the slow trickle of lenses for our current cameras. The characteristic Nikkor 'bunny ears' connecting to the metering prong from the FT metered prism. Two criticism that I would have had were I around in the 60s are the flash mount and the film loading. Nikon followed Leica with their loading of film. This meant a back that slipped down and off the camera to load the film. This means that loading film while fixed to a tripod is tedious, and at any other stage slow (this was later rectified with the F2 which used the same swing gate style as the cheaper Nikkormats). This did make it easier to create motor drives and specialized backs for the Nikon F though. The odd flash connection around the film remind lever. Then there is the odd flash connection. 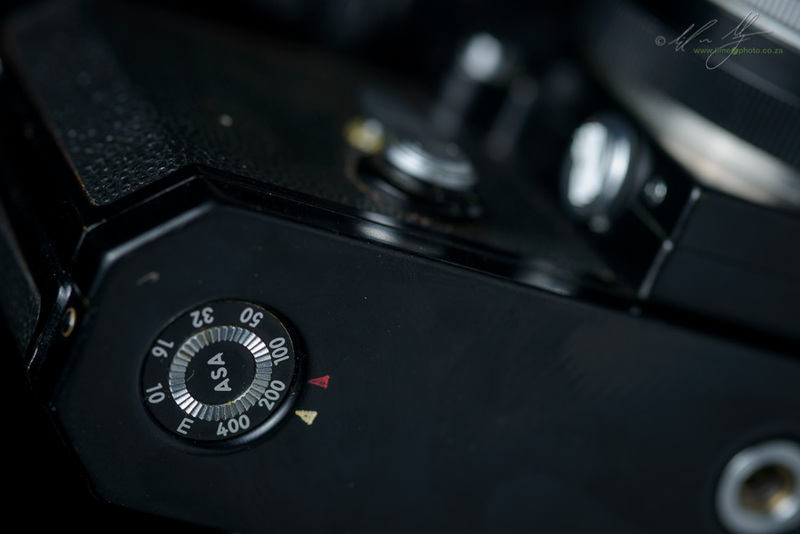 Right up until the Nikon F3, Nikon insisted that their F series cameras have a flash mount above the rewind lever. This was not a standard hot-shoe mount either (which had been used for several year’s already). When I was still shooting with an F3 it was a source of constant frustration until I bought a Nikon AS-4 adapter that allowed the use of a conventional hot-shoe flash, but didn't solve the problem of rewinding the film without removing the flash. Still, when using flash bulbs the Nikon F was able to synchronize its shutter speed at up to 1/1000th of a second. This dropped to 1/60th of a second when using electronic flash though. It was all of the features - never before seen in a single camera, along with a rapidly expanding lens set, ease of use, and near bullet proof invincibility that made the Nikon F so popular. So popular in fact that it dethroned Leica and remained king of the heap in the reportage world right up until Canon in turn dethroned Nikon with the advent of EOS and effective autofocus. Even the halcyon days of Olympus didn’t unseat Nikon as they responded effectively with the FM and later FE cameras. But it was the F that started it. To this day, the DNA of the Nikon F and what made it successful are evident in the most popular news and reportage cameras. For just over two decades Nikon played trend setter to the camera industry. 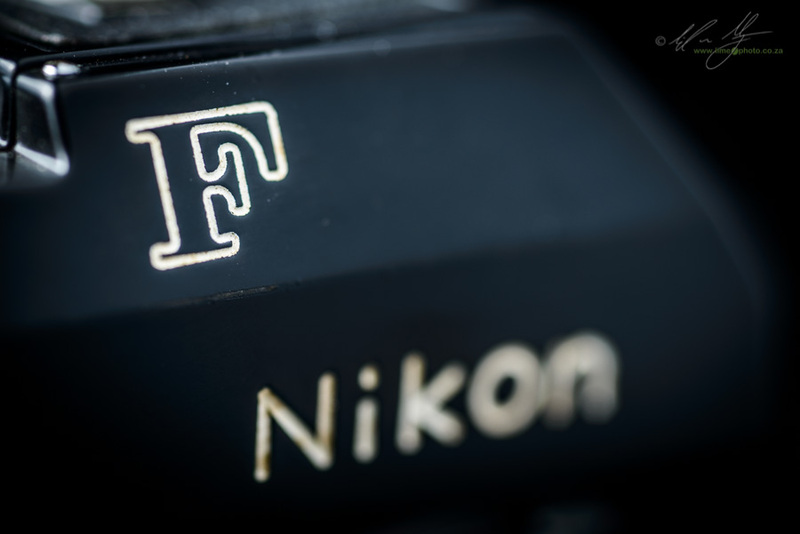 The longevity and sturdiness of the F means that if it weren’t for digital, we would probably still see photographers using the camera to this day. This is why when we think of the archetypal 35mm camera, we tend to think of the Nikon F.
Postscript: Okay, that’s a fairly loaded last sentence admittedly. No doubt there are readers out there that will decry that statement and claim it should be the Pentax K1000 or the Olympus OM-1. Indeed, these three cameras, I believe, are the most important cameras from the 60s and 70s. Taken together, they defined how the 35mm SLR would look and work, right up until the Canon T90 did away with that design gestalt.